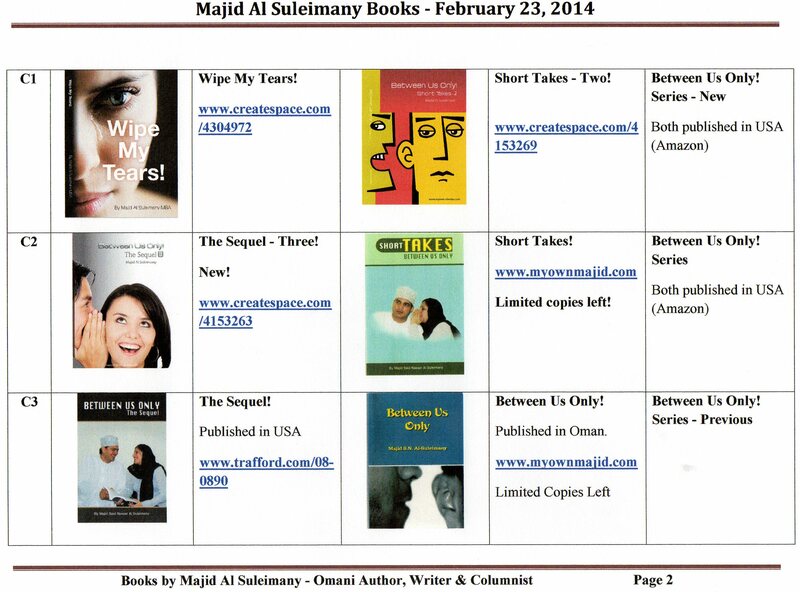 Availability of Majid Al Suleimany Books! I am pleased to inform you that after The International Book Fair Exhibition that ended last week in Seeb, my books are available for purchase from only now Family Bookshop in Medinat Qaboos near BankMuscat MQ Branch and Kentucky. Please see Books List below. 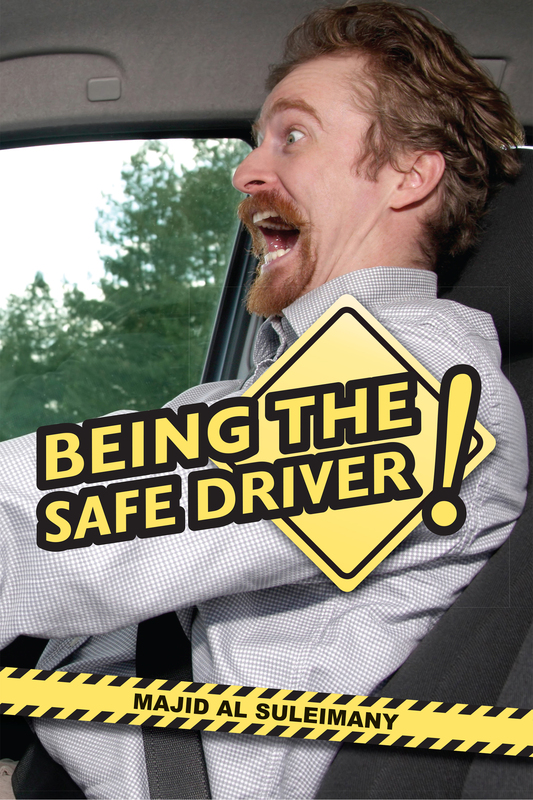 You can also order direct – if you so wish to do so! Contact address is shown per book. Prices range from OMR 9 to 12. If you wish, you can also get signed Author Copies and Dedications by giving 2 days notice period! Please Do Support us The Omani Authors, Writers and Columnists! 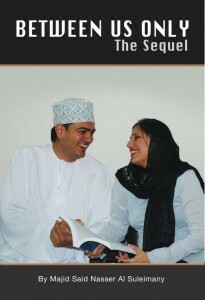 They are ideal gifts to give to especially outsiders and those leaving Oman gifts memoires and remembrances! 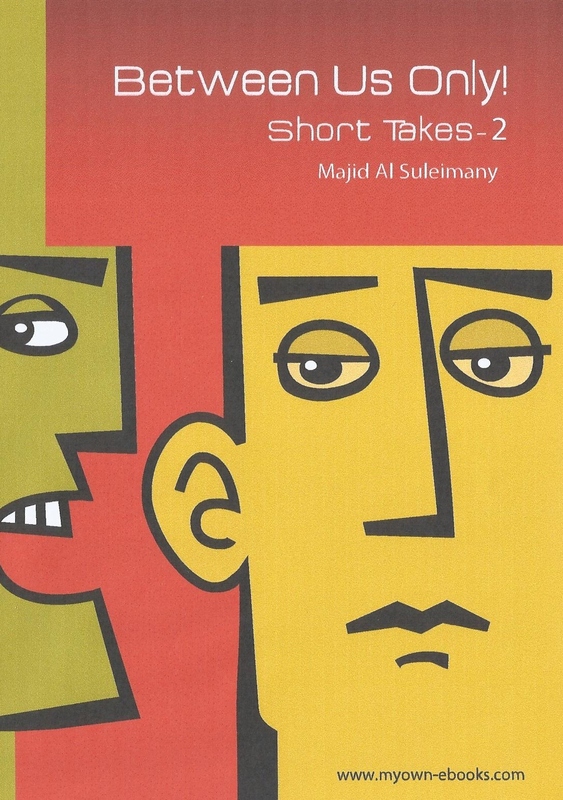 And The Arab Management Books – by The Locals themselves (in English). Plus My Columns books Between Us Only! 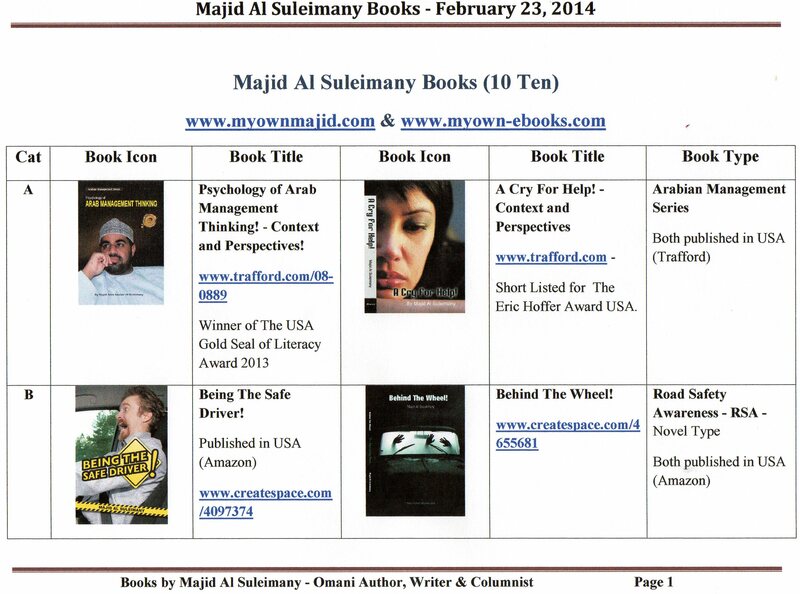 About Me!, About My Books!, About The Nation, Arab Management Books in English, Between Us Only! Column Articles, Books Announcements, Deep Soul Searching Article, Difficult and Complex Article To Write, Good Article, How To Live In This World!, New Arab Management Book, Sensitive and Critical Viewpoint, Sensitive Critical Topics, The Weekly Columns Writings in The Oman Daily Observer, Very Good News on My Books, Why I am so sad!, Wipe My Tears! • Tags: Failing To Recognise Our Own!, Jealousies and Envies!, Polarisation, Recognising Omani Authors Writers and Columnists, Shame on Us!, System Failures, These things must stop! System Failure! Not Recognising and Valuing Our Own Writers! It is a shame to see that this conference was not used to incorporate All The Omani Writers, Columnists and Authors. A good Indian friend called me to what to know more (maybe he knew already?) – but I replied to him that I did not! If these sites will not make an impact – nothing else will! Or is it crimes because we write in English? These things of rivalry, jealousy, envy, polarization – and not recognizing and valuing our own – need to end! I wrote to The Oman Daily Observer – who print my columns – and whom I have given complimentary gift copies to All in The Features Columns – including the Top Guys too! NO ONE RESPONDED – as usual! It is a shame that these kind of things are happening in our country now – after all the things we have seen live happening in others – starting with just a school graffiti! Now we hear of Angola banning Islam and breaking down of mosques! As an Omani – Arab blood and Muslim – I hold my head down low with shame! Real Shame! Maybe we do not meet the mark because we write in English? Maybe! I guess this poor man – my late father – is turning in his grave! 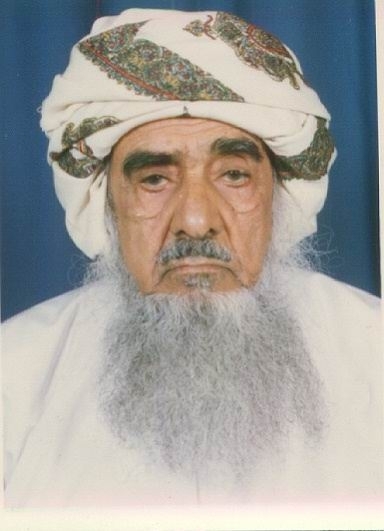 My Late Father – PBUH! Winner of The USA Gold Seal of Literary Excellence 2013 – For An Omani??? About My Books!, Arab Management Books in English, Books Announcements, Books Release News, Breaking News, Deep Soul Searching Article, Difficult and Complex Article To Write, Good Article, How To Live In This World!, My books now in eBooks!, New Arab Management Book, Sensitive and Critical Viewpoint, Very Good News on My Books • Tags: Arab Management Books, Arab Management books in eBooks, Books by Majid Al Suleimany, Books by Omani Author Majid Al Suleimany, Psychology of Arab Management Thinking!, The USA Gold Seal Literary Excellence Award For My Psychology Book! My Book Psychology Wins The USA Gold Seal Literary Excellency Award! For Wednesday – October 16th 2013. The USA Literary Excellency Award! Any authentic work must start an argument between the artist and his audience – Rebecca West. The US Review of Books connects worldwide Authors and Publishers with Professional Reviewers. It is an independent free running body – and the books and Reviewers are chosen at random order. Pleased to inform you my Readers and Fans that my Arab Psychology Book has won the prestigious US Gold Seal of Literary Excellency Award! My books USA Trafford Publishers had sent me this note – which is very good news on my Arab Management book – Psychology of Arab Management Thinking! – Context and Perspectives. My book had won The Gold Seal of Literary Excellency Award – and was shortlisted for the prestigious Eric Hoffer Award. The mere fact it had reached this stage – and competed against books from well known world Authors and Writers – and some of them being great Researchers, Professors and great Literary Artists is an achievement in itself – as it was my first Arab Management book! 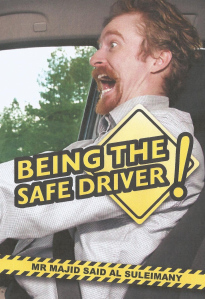 More information at www.myownmajid.com – I am pleased to share with you on our success! 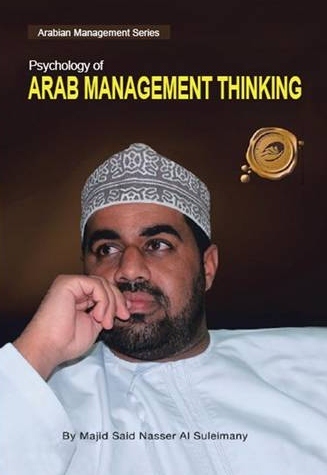 MUSCAT, Oman – In his new book “Psychology of Arab Management Thinking: Arabian Management Series” (published by Trafford Publishing), author and analyst Majid Al Suleimany explores the management styles that he believes helped lead to the events of Arab Spring. “As Arabs work is worshipped in our Religion – so what went wrong here? Especially in Management circles? Why are we behind the rest of the world, despite all our riches, potentials and resources? What The Book Had Said! As aforementioned, the book is about Arab Management issues and aspects – with personal experiences, exposures and examples of the Author stretching over 35 years experiences in Management and Human Resources – and as a Consultant, Advisor and Expert for over the past 10 years in a number of companies. Continued – Author’s Note – For a long time now, I have been putting off the idea of writing this book – though it had been on my mind for a long time now. The mere idea of writing this book scared me to bits and pieces – for many valid and pertinent reasons.